I have another wonderful book to share for the Creative Library series. 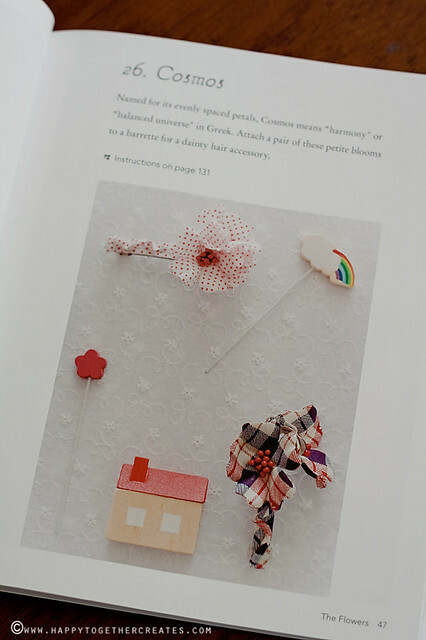 This book, Handmade Fabric Flowers, is by You-Zhen Lu, who is an accredited expert in the field of fabric flowers in Japan. 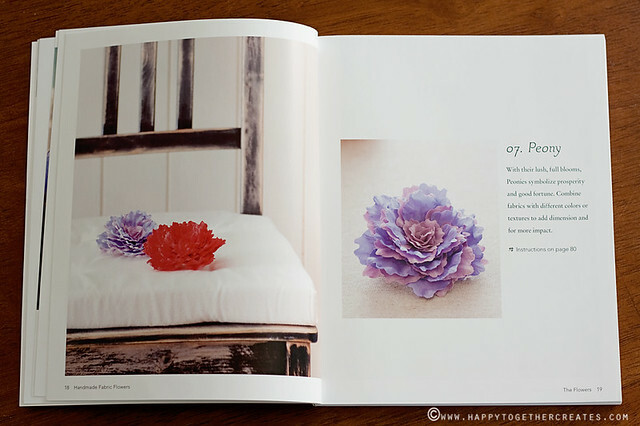 It is filled with 32 different tutorials to create one of a kind fabric flowers. I just had to give one of the tutorials a try, so I made a dahlia. It was one of the few that didn’t require me to use a flower iron. 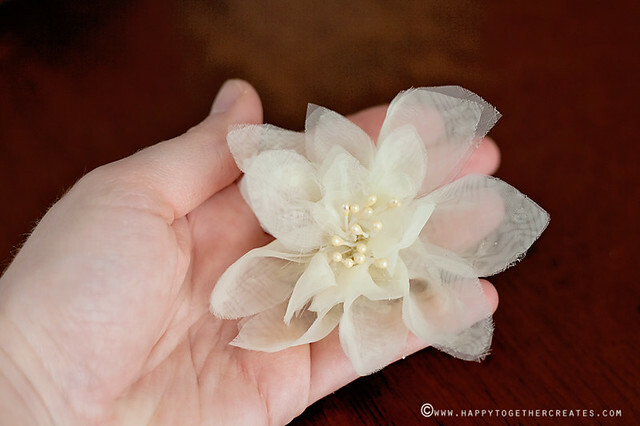 It called for the use of organza or chiffon, so I used some organza I had on hand already. Mine was a fraying kind, but I like my flowers a little messy so it worked. It was fun to make and I’m happy with the result. 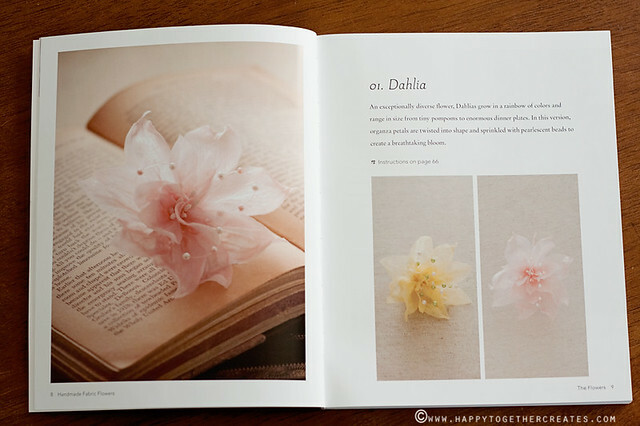 The directions are very good with pictures and there are tons of pattern pieces in the back for the different flowers. 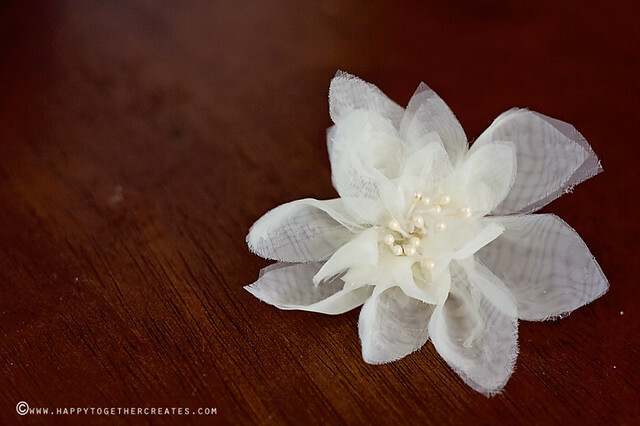 Here are a few more pictures of the different flowers you can make. 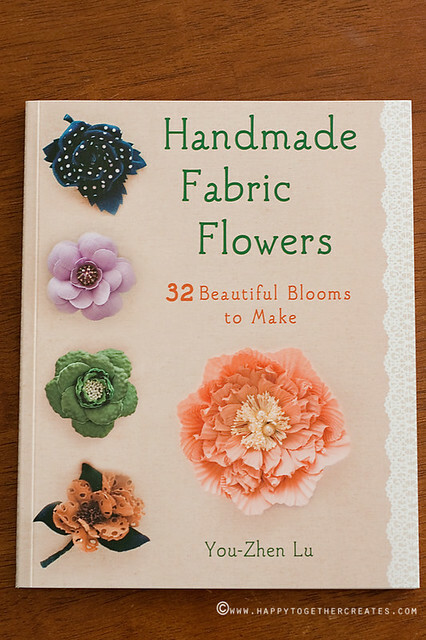 If you are looking for a book on how to make beautiful professional flowers, I would highly recommend this one. You won’t be disappointed. 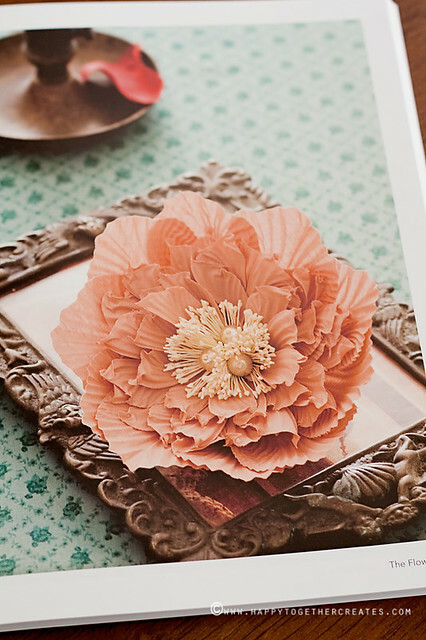 I’m curious – what is a flower iron? I googled it but didn’t immediately come up with an answer.